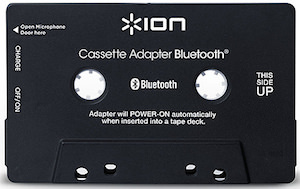 We all know how annoying it is to connect your phone to an old radio in your car or home but now any device with an AUX port can become Bluetooth all thanks to this Bluetooth AUX dongle. Just plug the dongle into a 3.5″ AUX port and connect your phone to the Bluetooth dongle and you are ready to play your music. And the dongle by Riversong has a build in battery that charges with micro USB and will work while charging. As the Bluetooth receiver is so small you can take it with you where ever you go and that makes it that you have a party in your pocket. And besides, in black, you can get it too in silver. 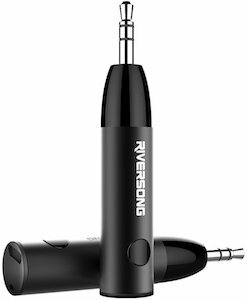 So get swinging by ordering your Riversong Bluetooth Reciever. Sure you can get a fidget spinner anywhere right now but this fidget spinner is different. 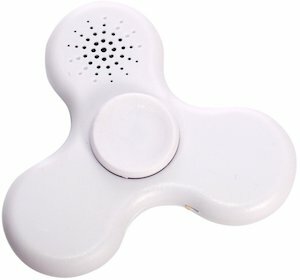 First of the fidget spinner is available in many fun colors and then when you spin it you will notice that there is LED light built in so your spinner will bring light to the dark and to get the party started they even build in a Bluetooth speaker that you can easily connect to your smartphone so now you play music while you make your spinner spin. Just charge your spinner and start the fun. And fidget spinner are just great for keeping your hands and minds busy so it maybe even perfect if you want to stop smoking. Come get your LED Fidget Spinner With Build In Bluetooth Speaker. If you want to listen to music in the shower then this waterproof Bluetooth speaker is what you want. 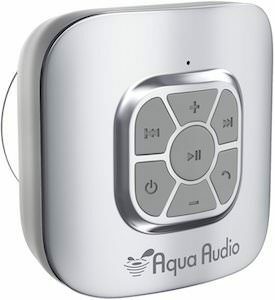 The Aqua Audio cube has a big suction cup on the back so that you can place it where ever you want and on the front, you find buttons to control your music and it has a built-in microphone to so you can even have a phone call while in the bath. The audio cube also works with Siri. You can get this Aqua Audio Cube in many colors like silver, black, blue, pink, and yellow and it has a built-in rechargeable battery that will last up to 10 hours playing time. Come and check out this Aqua Audio Cube Bluetooth Speaker. OK so your car does not have a car stereo that support bluetooth for music streaming and handsfree calling. No worries because this transmitter will solve all your problems. Just plug it into you car lighter port and you are ready to go. 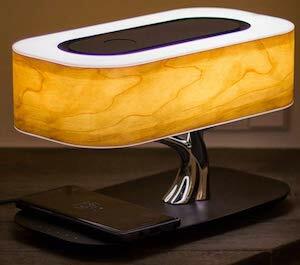 You can now connect your phone through bluetooth 4.0 to the transmitter witch then transmits your calls and music through an FM frequency to your radio. So if your radio can receive FM signals then you are good to go. 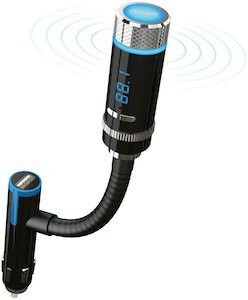 And the Breett FM transmitter also has a USB port so that it can charge your phone when on the go. No longer do you need a new car to listen to your music and make calls as you just need this Breett Car Bluetooth Receiver And FM Transmitter. Most bluetooth headset are ugly and made with the male population in mind. But now the ladies can get a headset that looks a bit more classy. This bluetooth headset has rhinestones on the part that goes in the ear and a nice chrome part with the microphone in it. And that both makes it look really nice with almost any outfit. So if you are the women looking for a nice headset then come see this Bluetooth Headset With Rhinestone Decoration. These little bluetooth headsets are handy when driving around as now you can talk on the phone without having to hold the phone. But besides being a handy tool for making calls hand free these headsets are not very useful. First of all they are mono and secondly most of them don’t even let you stream music to them. But Samsung found a solution. The Samsung HM3700 headset is just like any other earpiece headset with bluetooth. Great for calling and mono. But now you can plug in a pair of headphones through the 3.5mm headphone jack. You even get a pair of headphones with it. So now you can listen to music while on you phone is not connected to any wires. 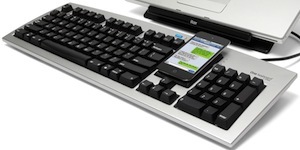 This is handy as now you have less problems with wires and you can make hand free calls. 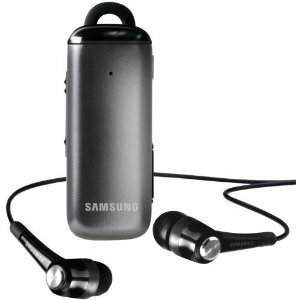 Come see what others think of these Samsung HM3700 Stereo Bluetooth Headset. These days we carry around our music where ever we go so why not enjoy it the right way where ever you go. The Jambox from Jawbone can be the device for you. With the Jambox you can wirelessly listen to your music or make conference calls all through the bluetooth of your device. You mobile phone will be the device that can enjoy the option of the Jambox. Up to 10 hours of music play time comes from the build in Jambox battery and that is plenty of time for day to day use. Watching a movie on your iPad is now way more fun as now there is a real speaker to give you the sounds. And the Jambox comes in 4 colors and styles. Red, Blue, Black and Gray and all have a slightly different pattern. If you like to conference call then maybe you should also look at the Jambox because you iPhone or other phone can now be a great speaker phone with the Jambox speaker and build in microphone. And if you don’t have a bluetooth device yet then don’t worry you can also connect your other music devices though the 3.5″ headphone jack. The Jambox is just to fun so come check out the Jawbone Jambox Speaker.